Philips 203V5LSB2/27 White LED's are solid state devices which light up to full, consistent brightness faster saving startup time. LED's are free from mercury content which allows for eco-friendly recycling and disposal process. LED's allow for better dimming control of LCD backlight, resulting in super high contrast ratio. 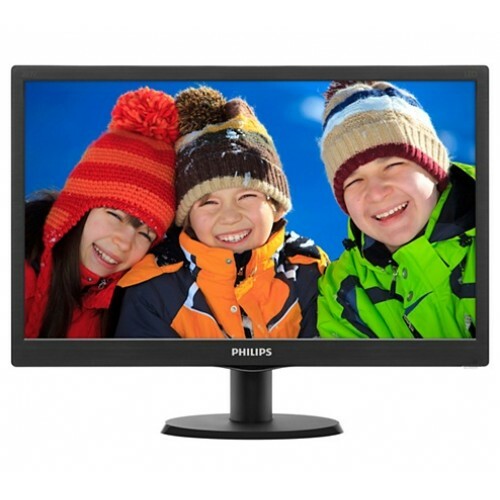 It also gives superior color reproduction thanks to consistent brightness across the screen.Philips monitors with LED backlighting are free of Mercury content, one of the most toxic natural substances, which affects humans and animals. This reduces the environmental impact of the display throughout its life-cycle, from manufacturing to disposal.